London’s iconic red buses are a staple of the sightseeing agenda of visitors to the capital, but this week Transport for London joined forces with bus operator Stagecoach to give one of its fleet a facelift. Marking the 10th anniverary of TfL’s LGBT staff network group, Outbound, the red double decker bus has incorporated the famous LGBT rainbow flag into its design to celebrate and support the divesirty of those who live, visit and work in the capital. 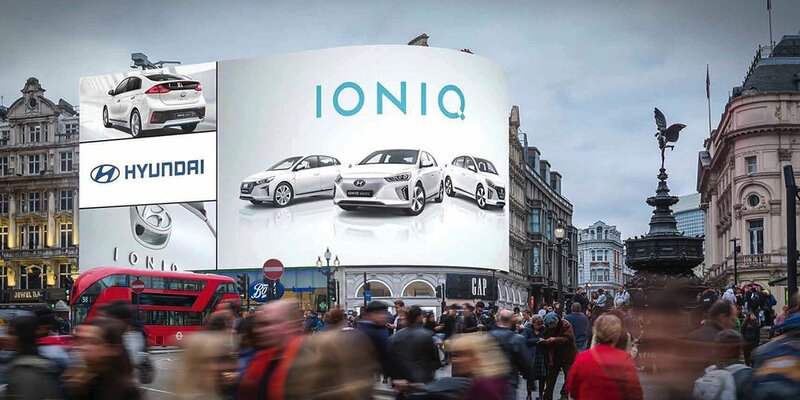 It will be in operation on the streets of London for a year, running mainly on the number 8 route, between Bow Church and Tottenham Court Road. 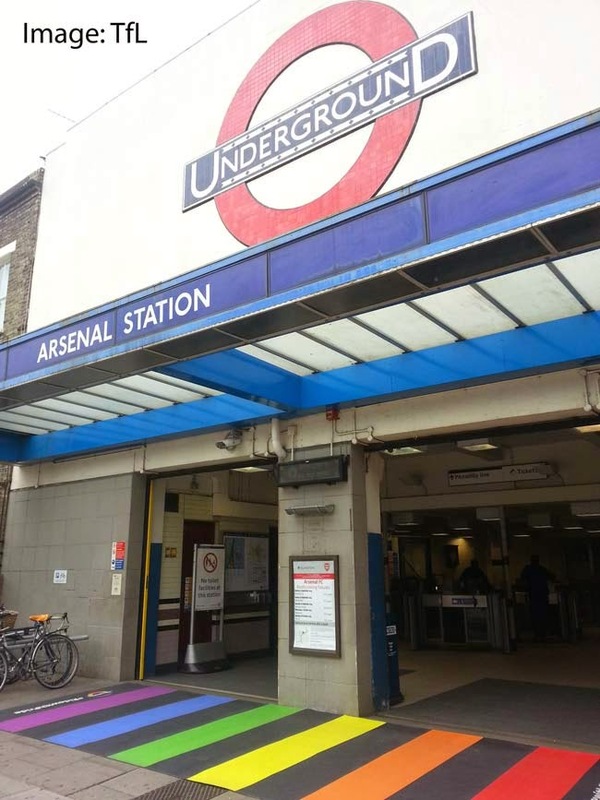 The new rainbow bus follows on from last year’s introduction of a rainbow zebra crossing outside London’s Arsenal tube station in support of Pride 2014. 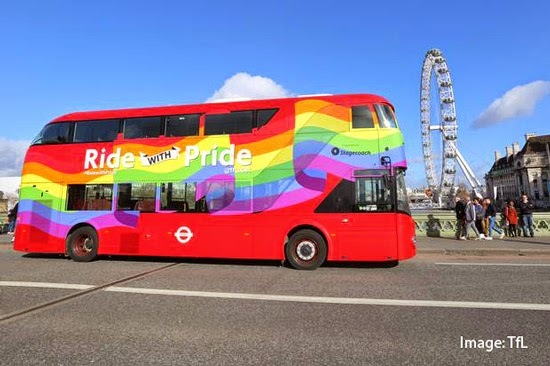 The bus will also star in this years Pride in London parade on 27 June, as well as several other diversity-supporting events throughout the year.